On day one, Emily and her boyfriend Cammy showed me round the city they now call home. Stepping out from the underground metro into the middle of Piazza del Duomo, the city's main square, was honestly breathtaking. 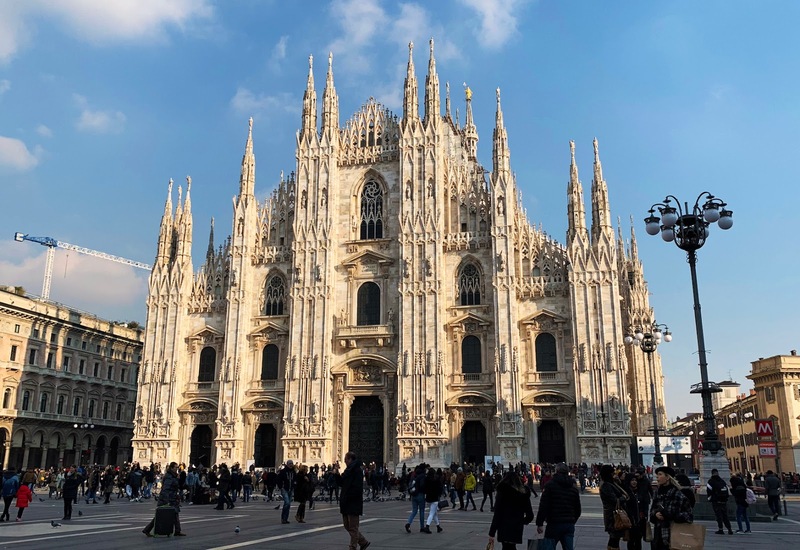 Dominating the piazza is Duomo di Milano or the Milan Cathedral, which is one of the world's largest Gothic cathedrals. 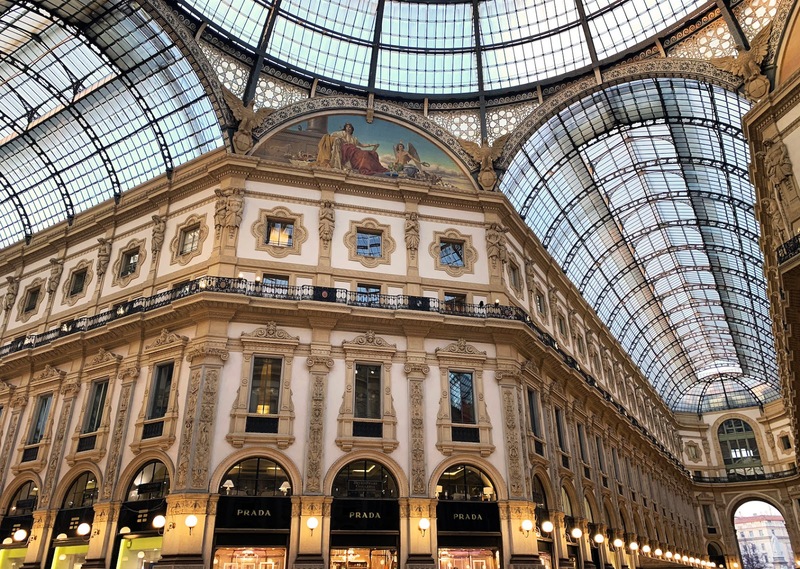 Other grand buildings surrounding the square include the Galleria Vittorio Emanuele II, featuring four stories of indoor shopping such as the luxury Prada flagship store. 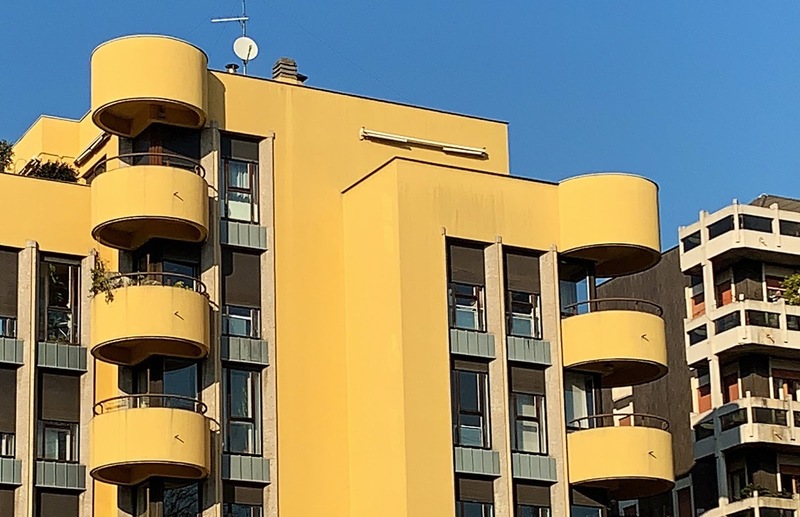 If you appreciate architecture, you will love Milan. 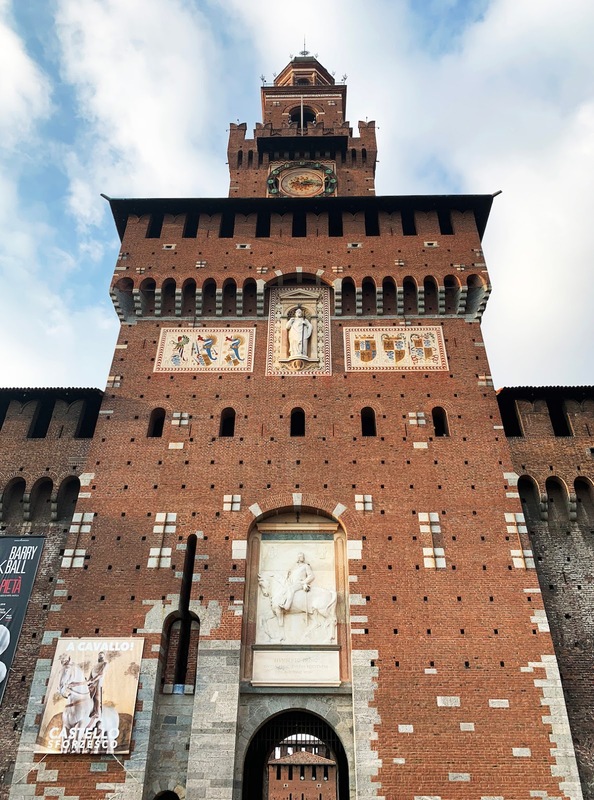 Heading north, we ventured to Sforza Castle for more impressive architecture built in the 15th century. However what lies behind the castle is what really amazed me. Parco Sempione is a large city park right in the centre of Milan which was a pleasant surprise. We visited on a beautifully cold but crisp and sunny day, and I can definitely imagine wandering here for longer in spring and summer, reading, sitting, dreaming, relaxing. And at the end of Parco Sempione you'll happen upon the triumphant Arco della Pace, or 'Arch of Peace', a famous symbol of Milan. 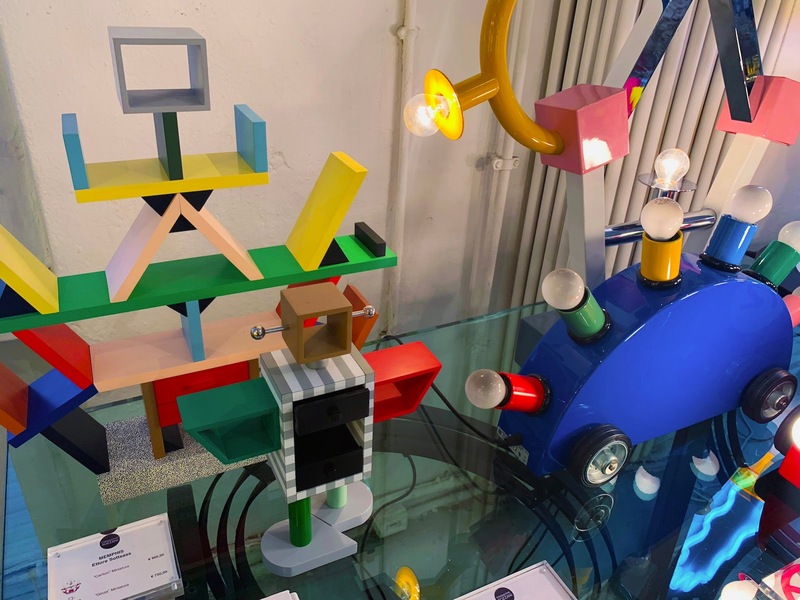 The above are the must-see tourist sights that come up on page 1 of Google and trip advisor for 'things to do in Milan'. Come day two of my trip, I was venturing into the city centre by myself as Emily had to work. Having ticked off all the main sights to see, I struggled to research where else to explore. Milan does have a few museums and galleries which I'm sure are worth a visit, but this was a Monday, and almost all are closed on Mondays. 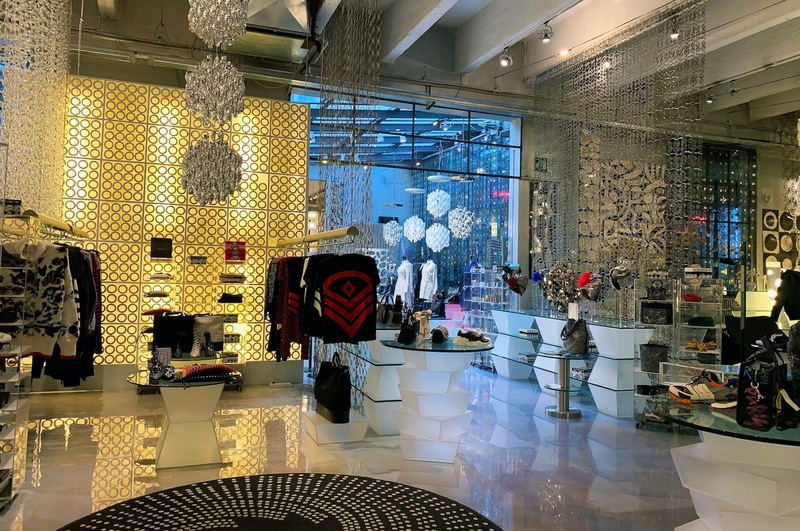 So, after scouring Google for 'unusual' and 'cool' things to do in Milan, I happened upon this article by The Crowded Planet and decided to visit a fashion concept store opened in 1990 called 10 Corso Como (on the street Corso Como), hoping I would find other fun things to do nearby. 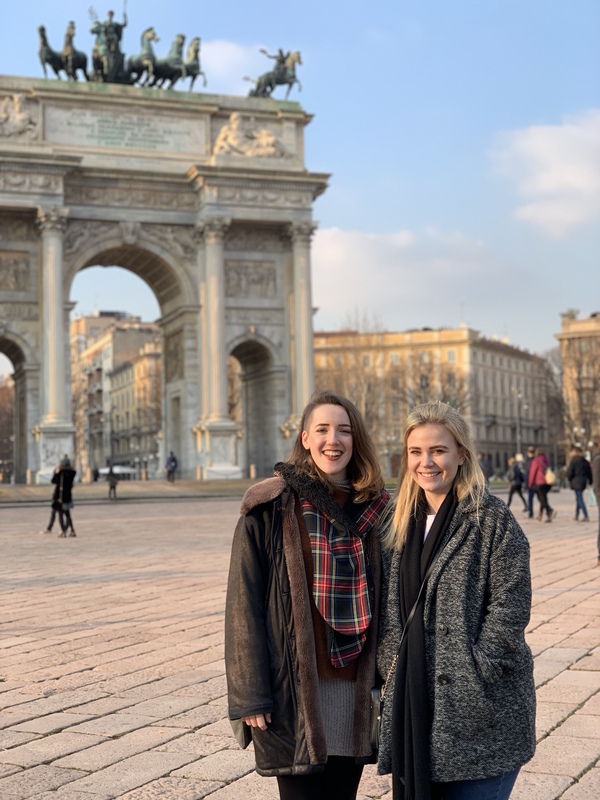 This turned out to be a great decision and led to me having an incredible alternative day in Milan, one I may not have experienced had I not searched online as intensely as I did. 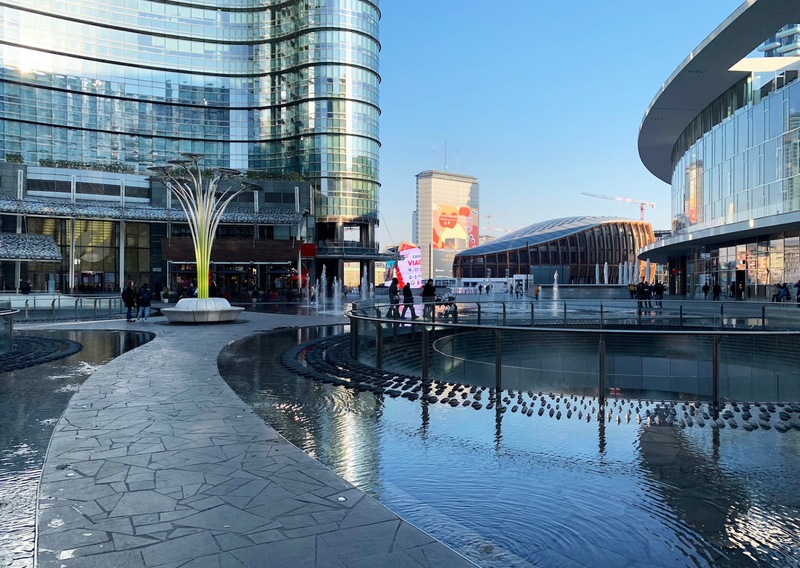 As this was my last day in Milan, I decided to wander leisurely through Parco Sempione once more on my way to Corso Como and relax on my holiday. Once I reached Arco della Pace, I took out Google Maps and planned my route. You could get the metro from the main square to Corso Como, but I decided to take a stroll and see what I could discover along the way. If you like architecture as much as I do, I'd definitely recommend simply wandering and getting lost in Milan. From my first steps away from Arco della Pace, I could tell I was nearing an area with character. 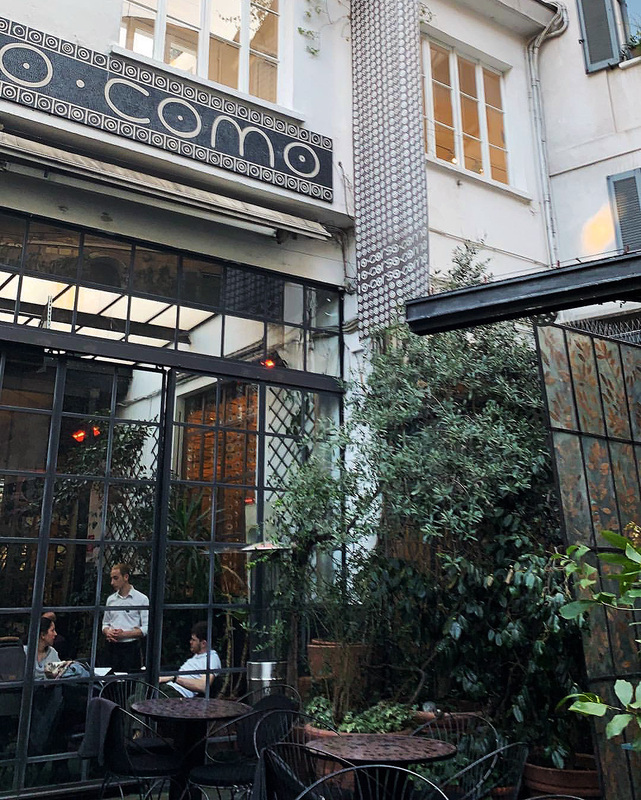 In fact, by the time I reached Corso Como and spotted the front of 10 Corso Como, my planned destination, my attention was drawn to some glass and mirror skyscrapers at the top off the street. They stood out in comparison to the more modern and relaxed vibe of the street, however once I curiously walked up the stone ramp to the centre of the skyscrapers, their unique futuristic features made them a little less incongruous (fantastic word there). 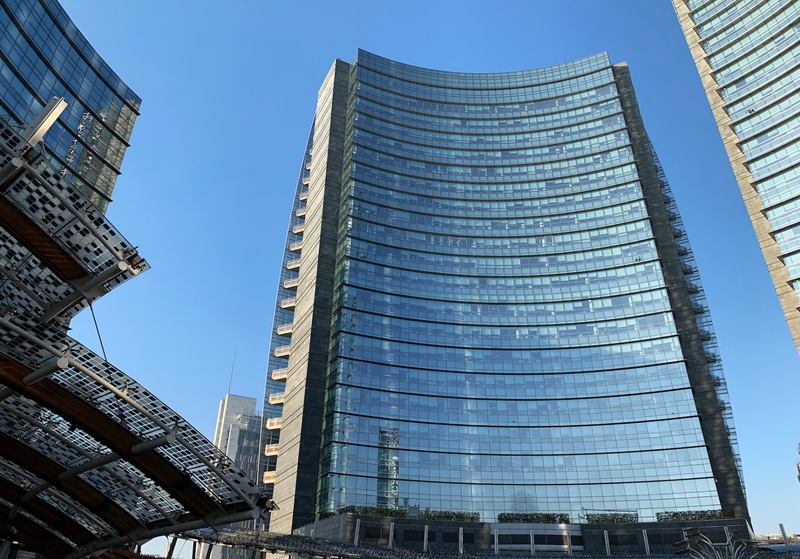 I checked my maps and discovered I was now in Piazza Gae Aulenti, a square dedicated to female architect Gae Aulenti, with offices, shops, cafes and restaurants. I later found out (from Civitatis) that "the Solar Tree in the centre of the square lights the area with LED lighting using solar energy" which is pretty cool. 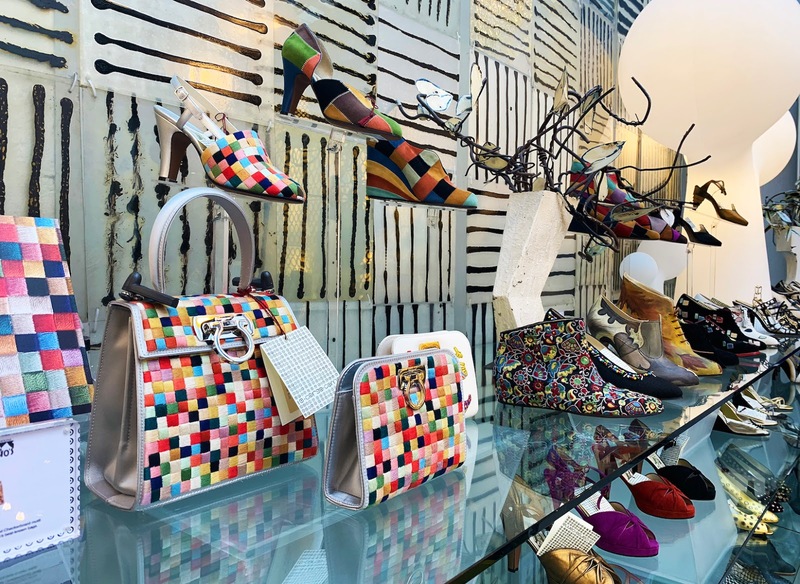 The innovative square perfectly complements Corso Como's modernism. As part of the square's development, you'll see some interesting buildings, such as Italy's highest skyscraper: the 231-meters tall Unicredit Tower. 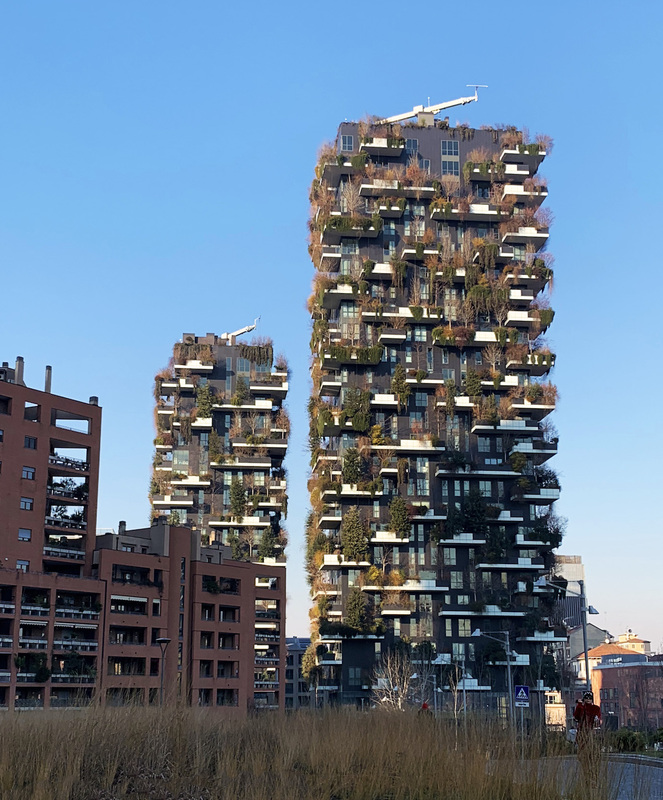 And what I think is possibly one of my favourite buildings ever: The Vertical Forest, two towers covered by an incredible 2000 species of plants! 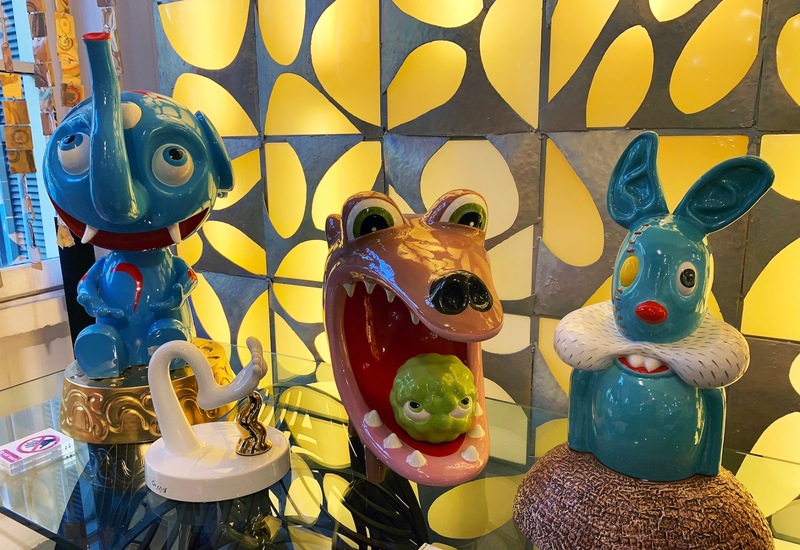 After exploring Piazza Gae Aulenti and soaking in the winter sun, I began to make my way back down Corso Como to visit 10 Corso Como as I had planned. 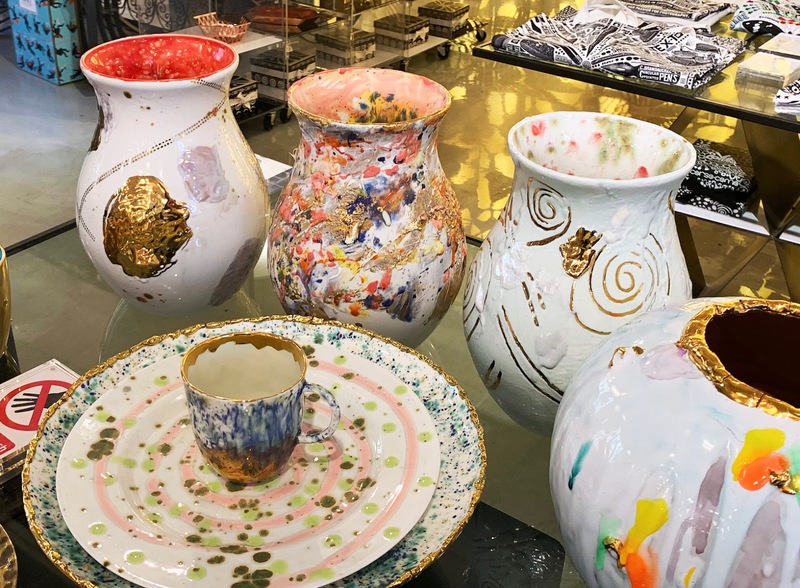 In addition to the main store on the ground floor, you'll find a gallery and bookshop as well as the garden cafe, restaurant and bar in a beautiful plant-filled conservatory. 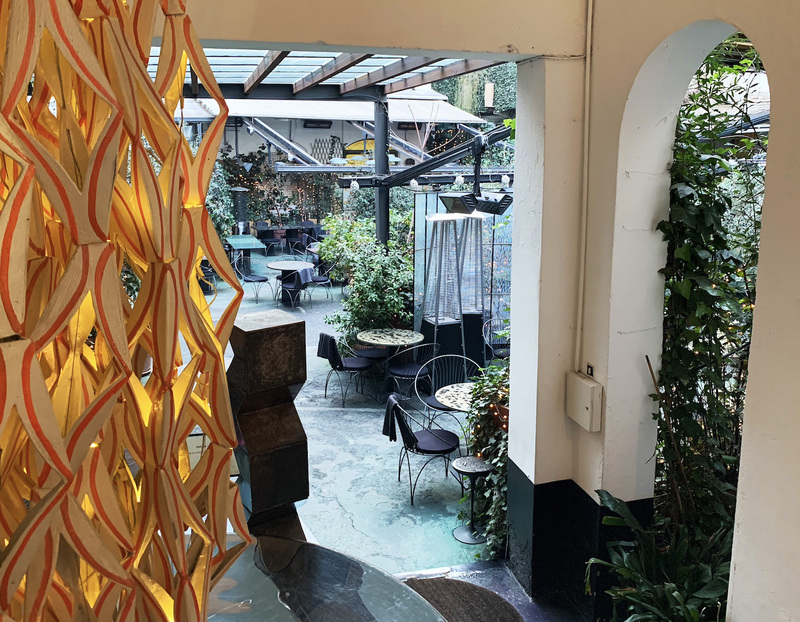 The magical atmosphere of hidden 10 Corso Como makes it feel you are a world away from the bustling city centre of Milan. Browsing the concept store, it feels more like an art gallery or museum than retail. I couldn't afford the €5,500 high heel necklace sadly, but I was in absolute awe at the store's curation of goods. And if you did want to buy a souvenir, there were phone cases and smaller items with the store's own branding you could take home. It's honestly quite hard to put into words the selection the store had on display due to its immense variety. 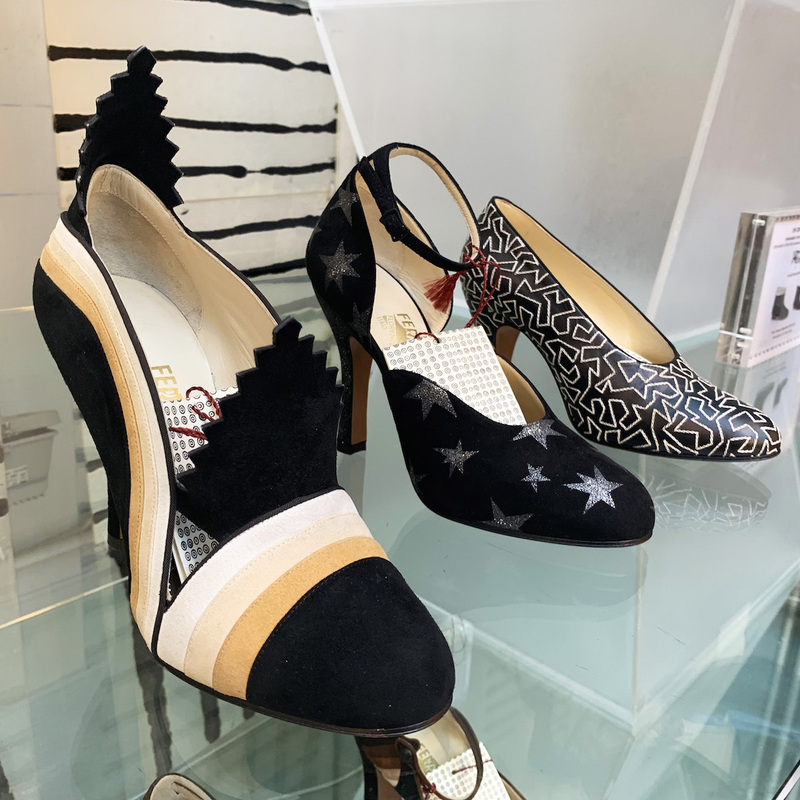 I don't want to spoil it for you in case you do go, so instead I'll show you a few photos to give you a flavour of what's on offer (there were A LOT of shoes). 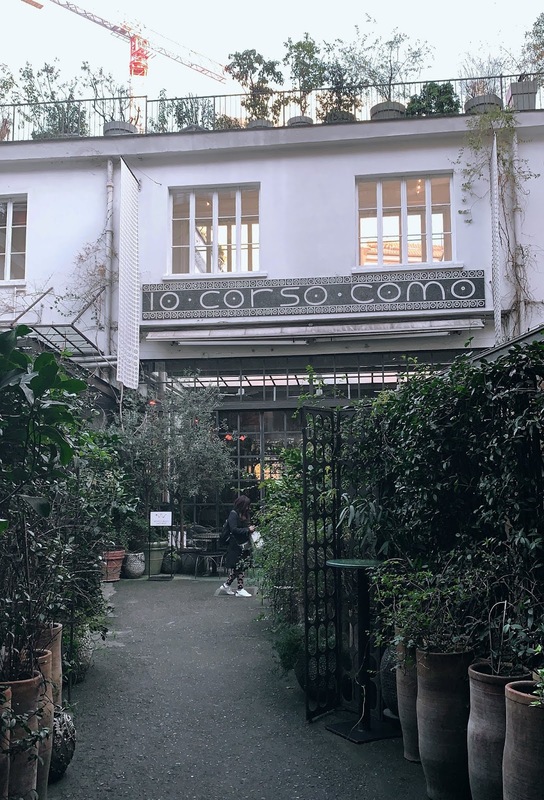 Expect to spend well over an hour or two exploring 10 Corso Como. 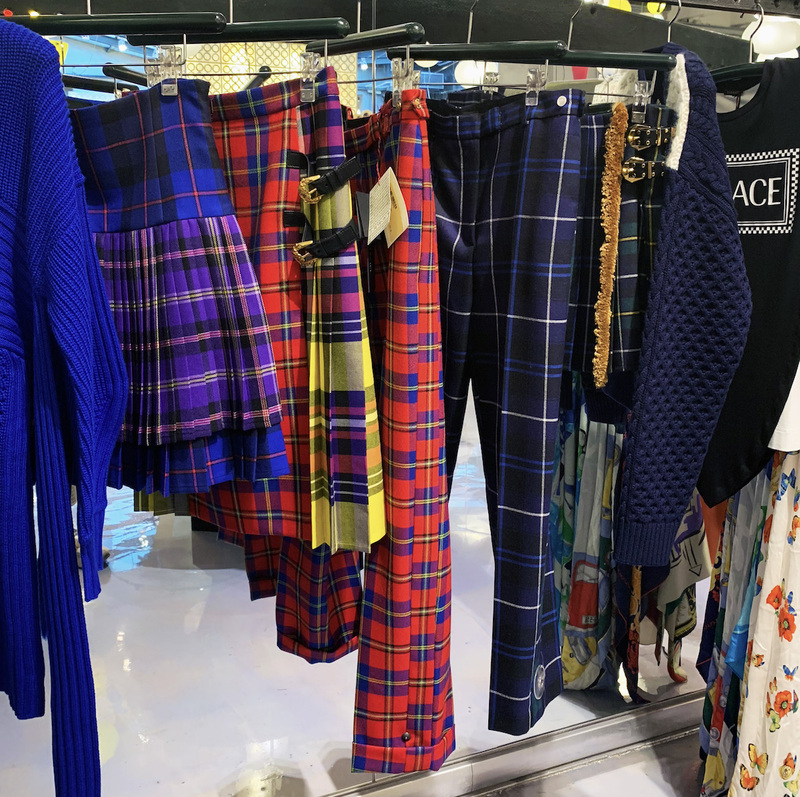 Why yes, that is Versace tartan! As I left the store I realised I was exhausted from all the new shiny things and information I had consumed - but I'd happily go back. I didn't have time to visit the art gallery or try out the cafe, so that would be next on my list if I ever return to Milan. 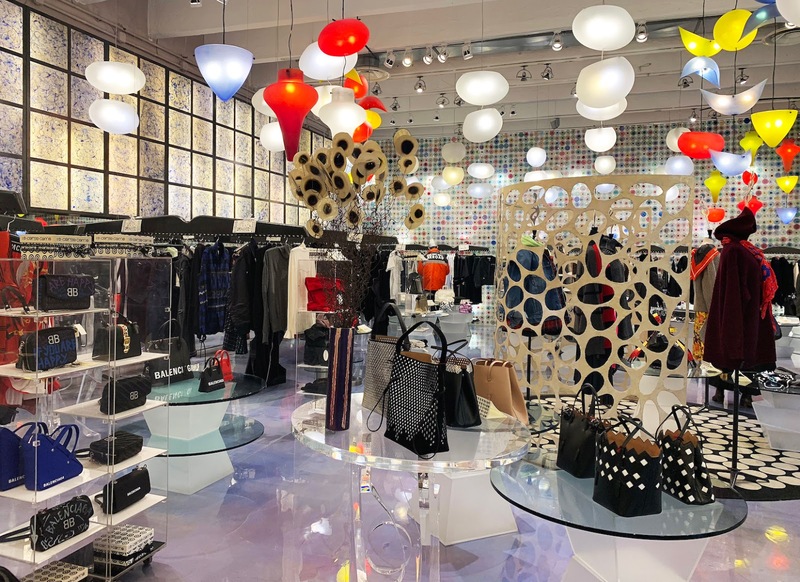 Since returning home, I have discovered you can now also find a 10 Corso Como store in Seoul, Shanghai, Beijing and New York. 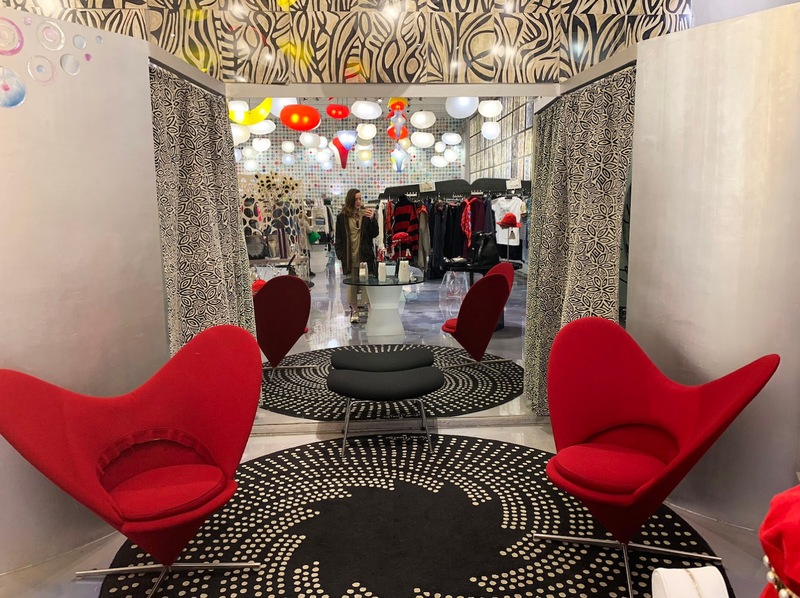 Whether you're a fashion lover or not, I promise you'll have a unique and culturally stimulating experience visiting 10 Corso Como. Check out their website for more information. 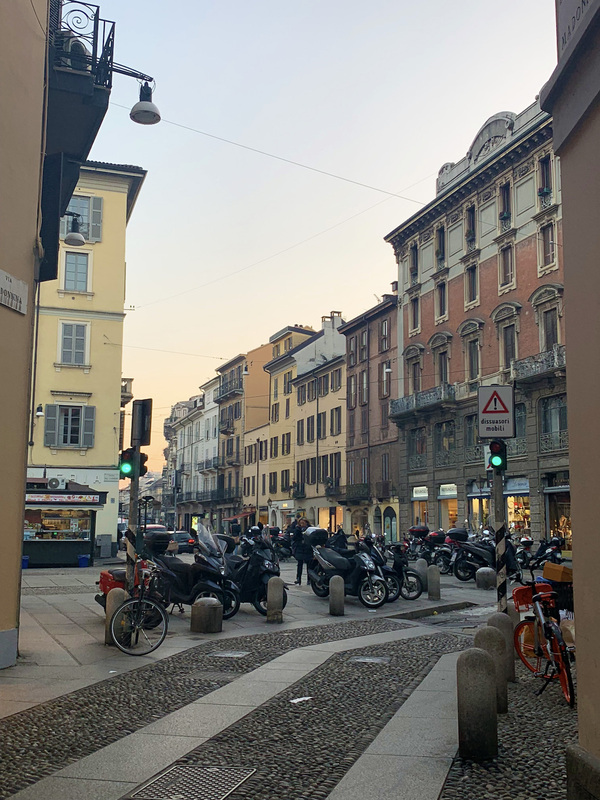 Making my way back to the city centre to catch the metro, I meandered through the Brera district which I had read was perfect for strolling due to its quaint artistic charm. Like Corso Como, I saw all sorts of interesting shops, bars, galleries and restaurants which apparently get busy in the evening for aperitif. 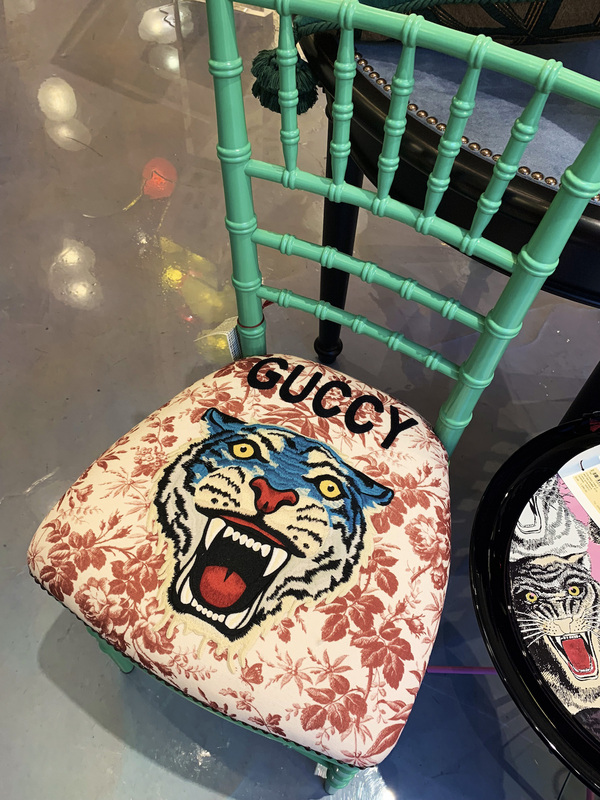 If I ever travel back to Milan, I'd definitely like to further explore Brera and Corso Como. I hope you have been as pleasantly surprised by Milan as I was. I expected a day or two exploring the city's main sights I had heard about - the cathedral, the shops, art galleries etc. 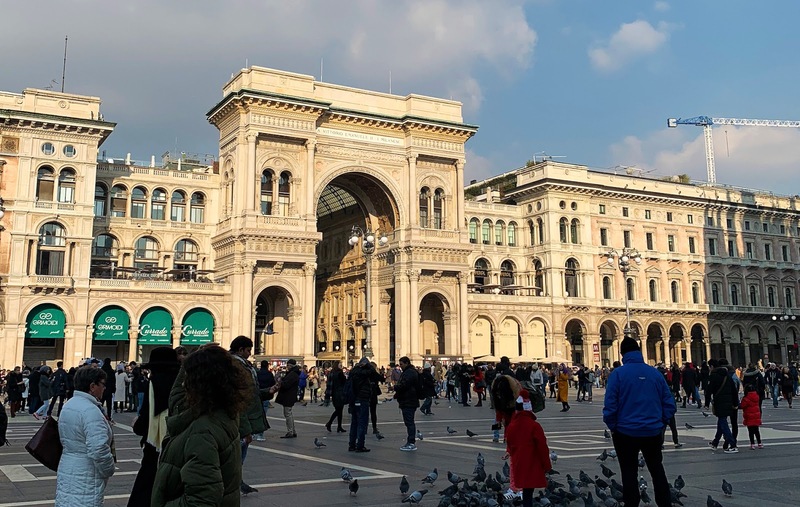 Instead, I was even more amazed than I imagined by the impressive Piazza del Duomo and Parco Sempione, and then happily stumbled upon Corso Como, Piazza Gae Aulenti and Brera simply by getting lost amongst the beautiful architecture and strolling through the picturesque streets. Is Milan on your travel list? Where else is worth a visit in the city? P.S. a MASSIVE thank you to Emily and Cammy for hosting me for the weekend - I had an amazing time!